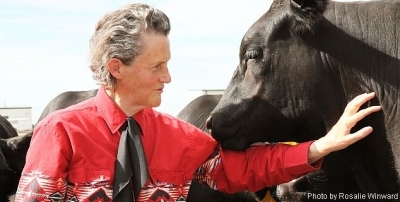 We’re excited to announce that Temple Grandin, author, activist and animal behavior expert, will be answering your questions on the NYFC Farmers Forum! Temple Grandin is a professor of animal science at Colorado State University and a consultant in the animal behavior industry. She has written several popular books, including Animals Make Us Human: Creating the Best life for Animals in 2009. She has contributed an immense amount to the practices of humane livestock handling and has received numerous awards, including a Visionary award from the People for the Ethical Treatment of Animals and a place in Time Magazine’s list of 2010’s 100 most influential people in the world. Dr. Grandin will be logging into the “livestock” section of the Farmers Forum next Tuesday, December 10th, to answer the first twenty questions posed between now and then. Head over there now to log in and ask your question! Dr. Grandin is the latest in NYFC’s line-up of Farmers Forum experts, each bringing knowledge and expertise in a particular agricultural field. Have an idea for who we should invite next? Email Sophie at sophie@youngfarmers.org to send in your suggestion.